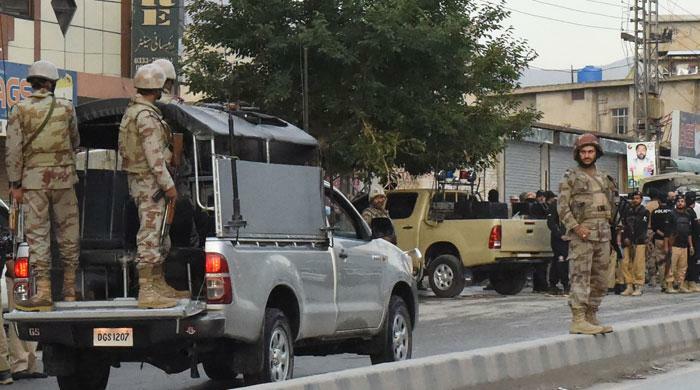 Four Frontier Corps (FC) personnel lost their lives when unknown assailants opened fire at their vehicle in Quetta on Wednesday, DawnNews reported. Deputy Inspector General (DIG) Quetta Razzaq Cheema said the security personnel were on routine patrol when attacked by miscreants in Dukkani Baba area of Sariab Road. Police and personnel of other law enforcement agencies reached the spot as an investigation into the incident went underway. Security was tightened in the area to apprehend the culprits involved in attack while the bodies have been shifted to Civil Hospital Quetta.